Home / Unlabelled / AIKO MELENDEZ DEFENDED PRES. 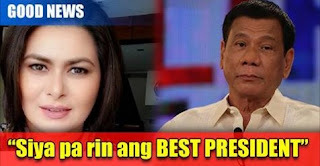 DUTERTE "SIYA PA RIN ANG BEST PRESIDENT"
AIKO MELENDEZ DEFENDED PRES. DUTERTE "SIYA PA RIN ANG BEST PRESIDENT"
Aiko Melendez defended Pres. Rodrigo Duterte after being bashed by some citizens after his controversial speech against US President Barack Obama. 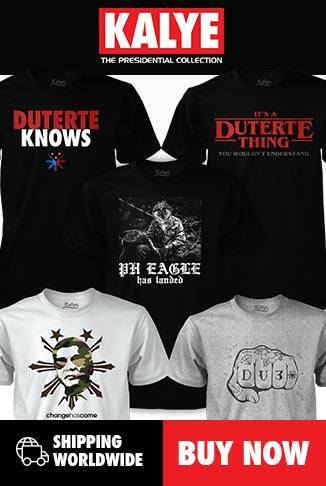 Controversy started after the briefing held at the Davao International Airport last September 5. This happen after one reporter asked Duterte how would he explain extrajudicial killings to the US President. It just happened that Pres. 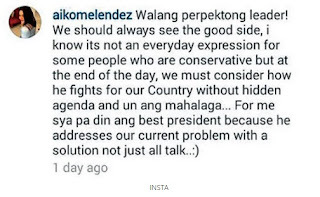 Digong answered the question with his usual unnecessary words. Because of this, Pres. Obama cancelled the supposedly State meeting with Duterte. 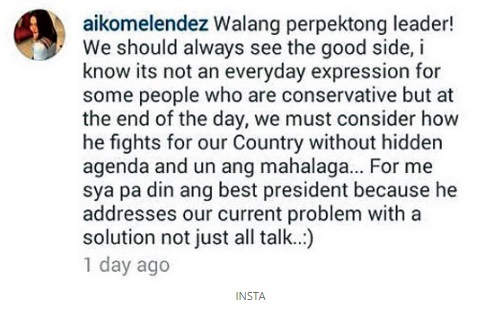 Aiko Melendez say that Duterte's words has been written in different interpretation by some columnist.